Freemasonry. Its members, called Companions, meet in Chapters under a Grand Chapter. Chapters are ruled over by three Principals, who rule conjointly, and the Grand Chapter, which is ruled over by three Grand Principals, with a Pro First Grand Principal when the First Grand Principal is a Royal Prince. In England the Royal Arch has four ceremonies: the Exaltation Ceremony to bring in new members and an Installation Ceremony for each of the three Principals. Royal Arch is open to men of all faiths. The allegory of the Exaltation Ceremony is based on the Old Testament telling of the return to Jerusalem from the Babylonish captivity to rebuild the City and Temple. In clearing the ground of the original temple for the foundations of the Second Temple, the candidate makes a number of discoveries, which emphasise the centrality of God to man’s life and existence and, without transgressing the bounds of religion, lead the candidate to a consideration of the nature of God and his personal relationship with Him, whatever his religion might be. The Royal Arch is the culmination of your journey through “Pure Ancient Masonry”. Man, however, is not simply a practical being, but has an essential spiritual aspect to his nature. This is taken up in the Royal Arch, in which the candidate, without trespassing on the bounds of religion, is led to contemplate the nature of God and his personal relationship with Him. 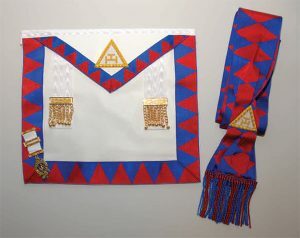 Thus the Royal Arch leads the candidate from the practical to the spiritual, and completes “Pure Ancient Masonry”, a fascinating journey of self -knowledge and self – discovery beginning with the Entered Apprentice Degree and culminating in the First Principal’s Chair of the Chapter. Does every lodge have it’s own Chapter? No, but every Chapter will originally have had its own Lodge. All Chapters will have been sponsored by a Craft Lodge, whose number they take, and in most cases whose name they adopt. A Master Mason will often join the Chapter allied to his Lodge, but many prefer to extend their Masonic circle by joining a different Chapter, perhaps in a different location. Any Craft Mason who has been a Master Mason for at least 4 weeks may become a member of Royal Arch Freemasonry. The decision to seek Exaltation is an individual matter and will depend entirely on circumstances and readiness to progress in Freemasonry. As with all other Masonic Orders you will need a Proposer and Seconder who are members of the Chapter into which you seek to be Exalted. If your Lodge does not have a Chapter attached, there will almost certainly be another local Chapter which includes Companions who may be known to you. You can usually identify Royal Arch Masons in your Lodge as they should normally wear the jewel of the order with their Craft regalia. They will be able to help you with your membership. Your Lodge may also have a Royal Arch Representative. If so, speak to him for advice on how to progress. It will vary according to which Chapter you select but as the Royal Arch meetings are generally only 3 times a year, the costs are substantially less than for Craft Freemasonry. There are the same Exaltation/subscription/dining fees involved, and affordable charitable donations are welcomed. How many Royal Arch companions are there? Supreme Grand Chapter is composed of 660 London Chapters, 2400 Provincial Chapters and 320 Chapters abroad, with a total membership exceeding 111,000 Companions. Worldwide there are probably in excess of 1.5 million Royal Arch companions. How many Chapters are there in Hertfordshire? 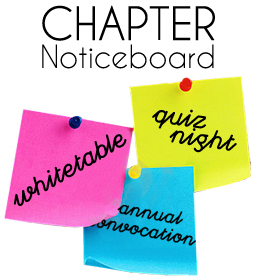 There are currently 78 Chapters in the Province meeting at the various centres. What is the Provincial Executive? Provincial Assistant Grand Scribe Ezra.